Fabbri G, Fradeani M, Dellificorelli G, De Lorenzi M, Zarone F, Sorrentino R. – Int J Periodontics Restorative Dent. 2017 Jan/Feb;37(1):19-31. doi: 10.11607/prd.2974. 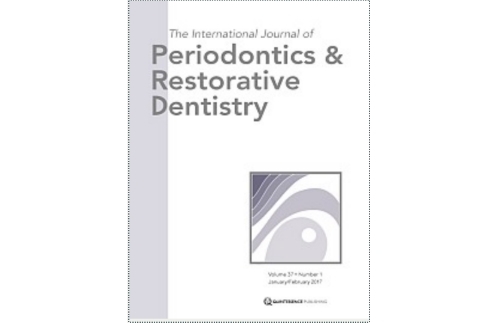 This multicenter retrospective clinical study aimed to evaluate the clinical performance of zirconia abutments in anterior and posterior regions, focusing on implant-abutment connections and restoration vertical height (RVH). Six experienced prosthodontists used 965 computer-aided design/computer-assisted manufacture zirconia abutments in 601 patients. Different surgical approaches were taken according to the needs of each patient. The final restorations were all-ceramic single crowns and short-span fixed dental prostheses. Screw-retained restorations were mainly used in anterior areas, whereas cemented prostheses were chosen in cases where the implant position was not ideal. Different types of implant-abutment connections were compared: external, internal with metal components, and internal full-zirconia conical connection. All the restorations were followed up for 4 to 10 years. Technical and biologic complications were assessed in relation to several biomechanical variables, such as RVH. Differences between groups were statistically analyzed, and longevity of abutments was evaluated according to Kaplan-Meier survival analysis. Zirconia abutments resulted in overall survival and success rates of 98.9% and 94.8%, respectively. External connections reported survival and success rates of 99.7% and 94.5%, internal metal connections 99.8% and 95.5%, and internal zirconia connections 93.1% and 93.1%, respectively. Overall complication rates of 1.14%, 3.42%, and 0.62% were reported for fractures, chipping, and unscrewing, respectively. The external connection showed the longest survival while the internal zirconia connection showed the highest fracture incidence over the observation period. The clinical risk limit of RVH was identified as 14 mm. Zirconia abutments showed satisfactory clinical performance in anterior and posterior regions after 4 to 10 years. RVH and connection type influenced the clinical longevity of restorations; in particular, internal connections with secondary metallic components reduced the incidence of complications.